This article also includes several examples of mobile feedback software providers that currently offer mobile SDKs for collecting feedback in native mobile apps. If you are unfamiliar with SDKs, don’t worry. We’ve got some background information to help fill you in… For starters, the acronym SDK stands for Software Development Kit. An SDK is a downloadable software package that includes the tools needed to build on a platform. Note: SDKs and APIs are NOT one and the same. An SDK is a complete set of APIs that enable users to perform any action needed to create applications. An API on the other hand is just a series of related methods that may be good for a specific purpose. Here is an example. The Java Development Kit (JDK) not only contains the API but also compilers, runtime systems, and other miscellaneous tools. The Java API is simply all the libraries that make up the core language that you can work with out of the box. Integrated Development Environment (IDE): this is an editor that allows users to design graphic elements such as buttons or text boxes. IDEs are very common on mobile SDKs. Supplementary Tools: these are additionally tools that are often used to carry out tasks such as debugging, building, running and testing your application. In terms of mobile feedback software, there are various solutions for collecting feedback inside a mobile app whilst using platform-specific SDKs. Examples include a Swift SDK for iOS or a JAVA SDK for Android. Various SDKs are available to you depending on your programming language, the platform you’re developing for, and the kind of communication solution you need (e.g. posting feedback to your feedback software provider). Why are mobile SDKs so great? Mobile SDKs (used for collecting feedback in native mobile apps) offer several different advantages in terms of implementation and usage. Let’s take a look. Of course, we wouldn’t be fair to you if we were only to mention the advantages of mobile SDKs. There are, as with every method, a few disadvantages which perhaps you might be able to see pass. Longer learning curve than with a webview. Similar to an API, you will need to familiarise yourself with an SDK. There are some SDKs that are very well-documented and have an active user base. Github is a good example of this. 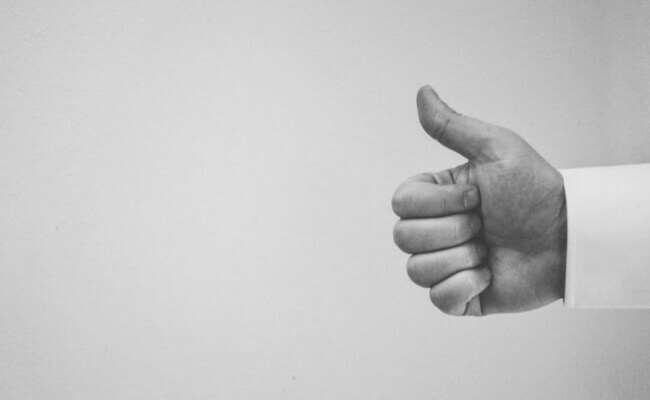 However, if that is not the case, it may be wise to choose an in-app feedback supplier that offers great customer service. You are reliant on the quality of the software of your app as well as the SDK. 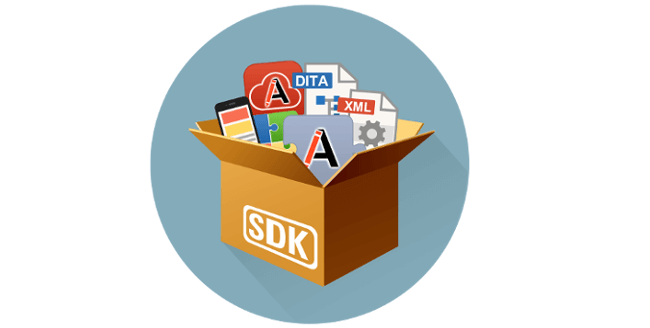 With an SDK, you are essentially running a piece of software inside a piece of software. So even if your mobile app and the SDK you are using are both developed according all software development conventions, issues still may occur. It is also important to be aware that SDKs can slow down the performance of your app and may introduce flaws to the user experience. Which feedback /survey tools offer mobile SDKs? There are a few feedback tools that offer a mobile SDK (with the purpose of collecting feedback in native apps). We’ve made a selection of the top tools here below. 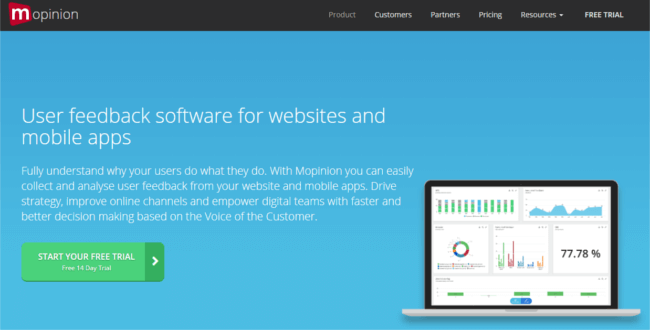 In addition to its ability to collect and analyse feedback from website visitors, all-in-1 feedback analytics software Mopinion also captures feedback from your native app users. Once you’ve implemented the software (which is very simple using Mopinion’s SDK), users will have access to features such as advanced targeting (engaging particular users in key moments based on conditions the user that the has set up) and visual feedback (to reveal bugs and other usability issues) as well as fully customisable feedback forms (with various question types and a branded look-and-feel). All feedback captured via both web and mobile can then be visualised in your (customisable) dashboard in real-time. The dashboard gives the user full control of the analysis process. Each individual feedback item captured using Mopinion’s software is accompanied with detailed data about the visitor (such as operating system, browser type, screen resolution and more). Additionally, Mopinion integrates seamlessly with your mobile app (compatible with iOS, Android or React Native). Are you a developer? Please visit our GitHub repositories for more information. For Android, click here. For iOS, click here. For React Native, click here. 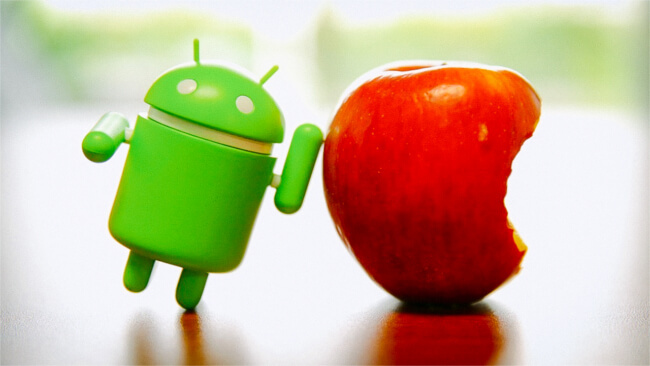 Alternatively, Mopinion offers lightweight SDK packages for Android and iOS. Our latest lightweight mobile SKDs allow you to benefit from mobile in-app triggers without the usage of larger interface libraries. For Android, click here. For iOS, click here. Alternatively you can visit our Mobile SDK download page for more information. Pricing: Pricing starts at €499/month (Turbo Package). There are also Enterprise options available. Apptentive is a well-known mobile in-app feedback tool that is built around helping tech startups connect with their mobile audience. 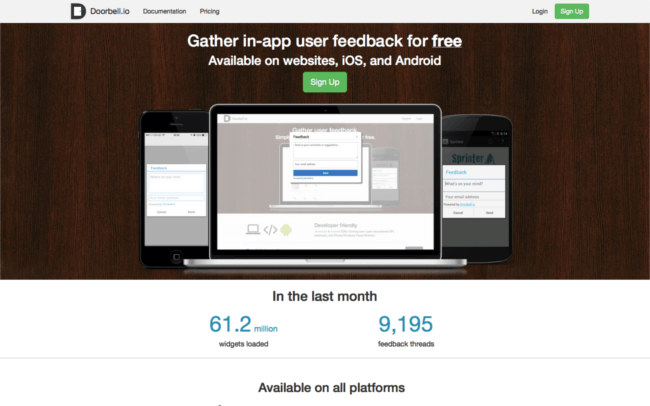 Users can employ in-app surveys, targeting users who completed some sort of action (e.g. spent a certain amount, viewed over 15 pieces of content, customer who has already made several purchases, etc). This tool collects both qualitative and quantitative data, which once collected, can be viewed in the Apptentive dashboard. Doorbell enables developers to collect and analyse elaborate, mobile in-app feedback from users. It provides users with instant notifications when they’ve received feedback by email or via the chat system. Visitors can also submit screenshots or attachments along with their feedback. All feedback you receive is automatically tagged using sentiment analysis, which classifies it as either positive or negative. This tool can be integrated with various project management software such as Pivotal Tracker, Asana, Trello, Sprint.ly and more. Pricing: Business – $49/mo, Startup – $29/mo, Bootstrap- $9/mo. 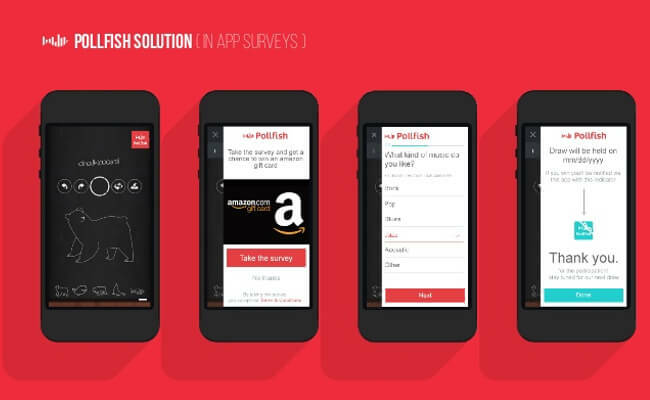 Pollfish is a survey platform that collects mobile in-app feedback on a global scale. The tool offers a wide variety of survey templates that can be sent to anyone at any time. Examples of templates include ‘brand loyalty’, ‘target market analysis’, ‘market research – product feedback’ and more. Once you’ve received feedback, you can sort, filter and analyse the data in real-time from your dashboard. Pricing: This varies depending on the number of completed surveys, age range, and number of questions. Starts from $1. SurveyMonkey is a well-known cloud-based SaaS company that focuses on online surveys. Having just released a new SDK (software development kit) for mobile integration, surveys can now be sent out on mobile apps. These surveys can be used to conduct market research, gauge customer satisfaction and can even be sent out in brief online polls. 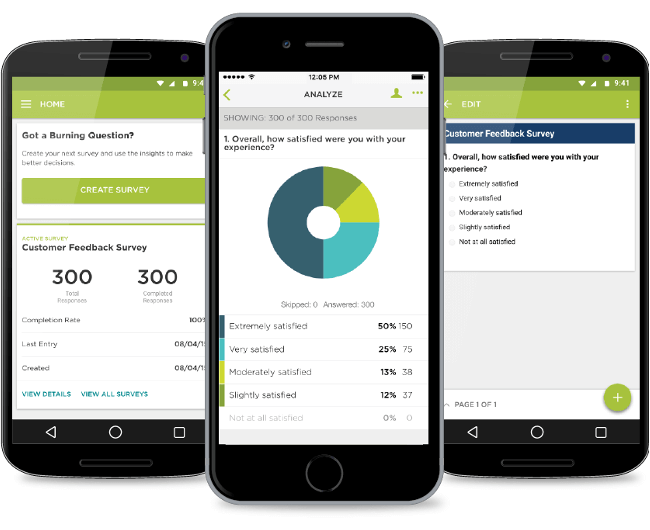 With this mobile in-app feedback tool, users have access to unlimited surveys, real-time results and actionable data. UserVoice is an all-in-one Project management and Customer Support tool that enables its users to listen and obtain feedback from its customers. Aside from submitting feedback via portal, widget or a contributor sidebar, visitors can also submit feedback on mobile. The tool offers a feedback forum where visitors can voice feedback, poll on new features and update visitors on development. With iOS and Android SDKs (software development kit), UserVoice guarantees your users will get the best experience. But what about the Analysis process? Interestingly enough, what many of these feedback tools seem to lack are strong analysis capabilities. Collecting feedback is easy. The real challenge lies in actually taking the feedback you’ve collected (from your SDK) and putting it into action. Mopinion offers lots of possibilities to do this. Via its intuitive dashboard and action management tools, it’s the perfect tool – with an SDK – for boosting your Mobile User Experience (UX). API and Webview collection methods are also available with this software. Get a free copy of our White Paper now!